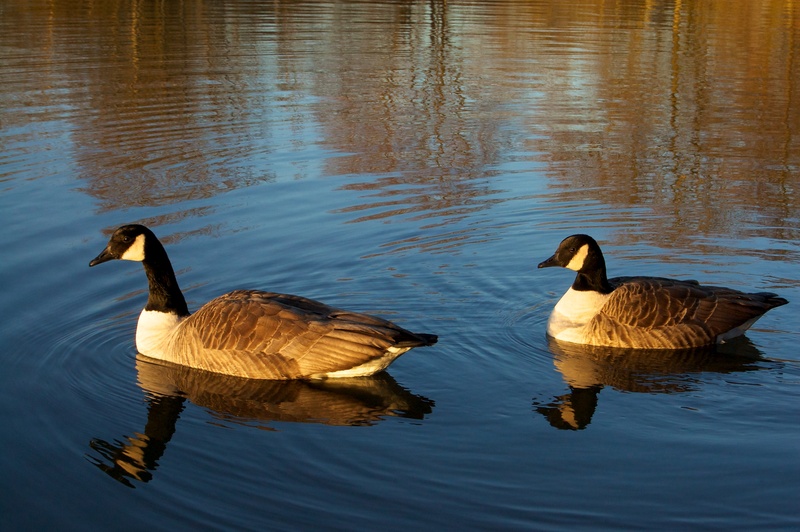 Bathed in the warm glow of an early morning sun, a pair of Canada Geese drift slowly by. Whilst the phrase ‘warm glow of an early morning sun’ was an apt description for the light, the temperature was anything but warm. It was worth it though – the quality of the light at that time of day is simply fantastic. If you have not tried photography during the golden hour just after sunrise then I highly recommend it. As a self-proclaimed morning person, it’s not that hard for me. Try it – just remember to bring your tripod. The lake is less than 10 minutes drive from my house. I arrived before sunrise, expecting the usual quiet before the sun came up, but the variety of geese, ducks, waders, herons, and raptors had other ideas. They can make quite a noise. As the sun rises and the cyclists, joggers, and walkers appear, the birds become quieter (apart from the geese, of course).